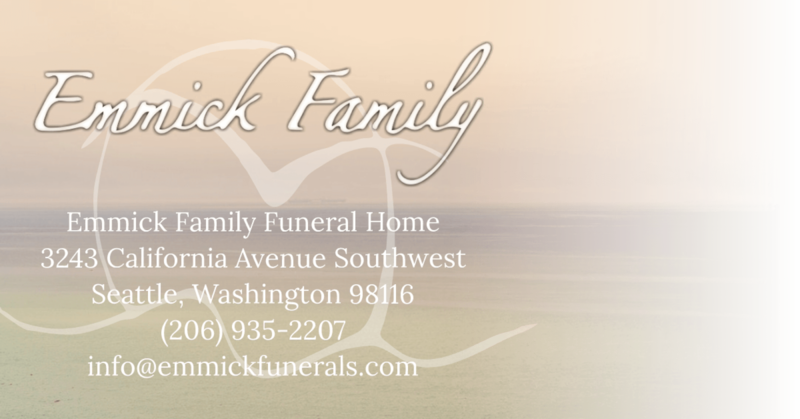 "We would like to introduce you to Emmick Family Funeral & Cremation Services, a local, family owned and operated company providing quality, affordable end of life services. Emmick Family Funeral Services was founded on the belief that there are better, more effective ways to help people with the death of a loved one." Most funeral homes and cemeteries in the region have been sold to multi-national corporations. By being a local, family owned company, We cater to your needs with a personal touch. Our service mission is never compromised by accountability to far-off stockholders, we’re accountable to you. 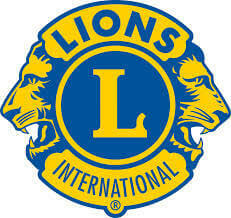 We provide your family with the highest level of quality service at a fair, honest price that your loved one deserves. We understand this and support the idea that you do not have to spend a great deal of money to properly remember a loved one. The Emmick Family has deep roots in West Seattle and decades of experience serving local families. Craig and his wife, Gayle grew up in the White Center/Burien area and raised their two sons, Matthew & Michael in West Seattle. Craig has been a licensed Funeral Director & Embalmer for nearly 40 years working in Seattle and West Seattle area funeral homes. Recently, his son Michael completed his apprenticeship and college mortuary science courses and is a licensed Funeral Director & Embalmer as well. We are not like other funeral homes or cremation services. We are a fully licensed provider specializing in cremation and burial services with no sales pressure like many, traditional funeral homes and cemeteries. Because we do not have a large funeral home facility with viewing rooms and chapels, we have lower overhead costs and which allow us to pass on those savings to families we serve. We can facilitate cremation & burial arrangements by telephone, fax, email, in your home, or in our new office facilities located in the heart of West Seattle between the Admiral District and the Alaska Junction. It doesn’t look or feel like a funeral home, because it isn’t. We’ve designed a casual and comfortable place to make the process easy to complete. The Emmick Family has deep roots in West Seattle and decades of experience serving local families. Craig and his wife, Gayle grew up in the White Center/Burien area and raised their two sons, Matthew & Michael in West Seattle. 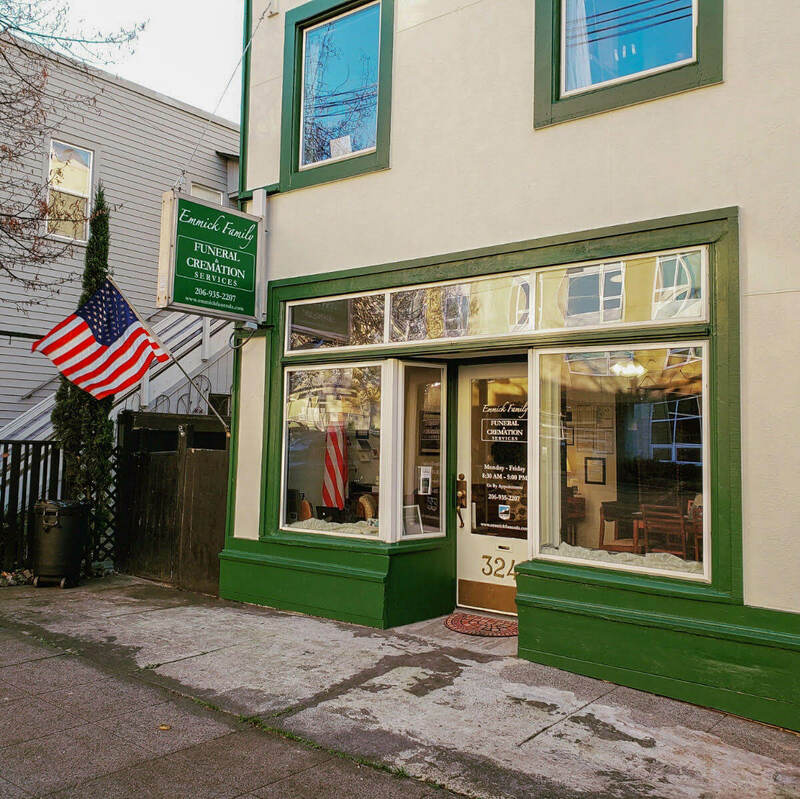 Craig has been a licensed Funeral Director & Embalmer for nearly 40 years working in Seattle and West Seattle area funeral homes. Michael feels privileged to have witnessed his Father's work firsthand growing up, because he was able to realize his calling from an early age, and began working in the funeral profession 9 years ago in his Father's footsteps. After completing his Apprenticeship and receieving his Mortuary Science degree from Pima Medical Institute, Michael was able to obtain full licensure as a Funeral Director & Embalmer in 2014. In early 2018, Michael married his wife, Desirée, who was a Funeral Director at another trusted funeral establishment at the time. Desirée was a welcomed addition to the family funeral home, as she has since provided us and the families we serve with a wealth of creative insight, compassion, technical knowledge, & experience from her years in the funeral profession and the similar call from an early age to help others in her heart. We are not like other funeral homes or cremation services. We are a fully licensed provider specializing in cremation and burial services with no sales pressure like many, traditional funeral homes and cemeteries. Because we do not have a large funeral home facility with viewing rooms and chapels, we have lower overhead costs which allows us to pass on those savings to the families we serve. 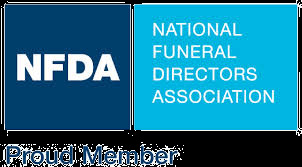 We can facilitate cremation & burial arrangements by telephone, fax, email, in your home, or in our new office facilities located in the heart of West Seattle between the Admiral District and the Alaska Junction. It doesn’t look or feel like a funeral home, because it isn’t. We’ve designed a casual and comfortable place to make the process easy to complete. 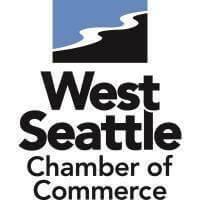 We proudly serve the communities of Seattle, Des Moines, Normandy Park, SeaTac, Burien, Tukwila, Rainier Valley, Georgetown, Columbia City, Rainier Beach, White Center, West Seattle, Vashon Island, Beacon Hill, Capitol Hill, Queen Anne, Wallingford, Ballard, Fremont, Greenwood, Northgate, Lake City, View Ridge, University District, Loyal Heights, Sunset Hill, Magnolia, Crown Hill, Federal Way, Auburn, Fife, Edgewood, Renton, Kent, Mercer Island, Bellevue, Kirkland, Redmond, Issaquah, Factoria, Newcastle, and all over the Puget Sound area.